Boston Acoustics Soundware Compact High Performance 2-way Indoor/Outdoor Speaker - BlackThe Boston Acoustics SoundWare indoor/outdoor speaker is a winning combination of price, aesthetic and performance that I highly recommend.” - Audioholics, February 2008 Great sound anywhere. Indoors on a shelf or credenza. Outdoors under the eaves or on the deck. Tucked neatly away a corner. Aimed up, down or sideways. 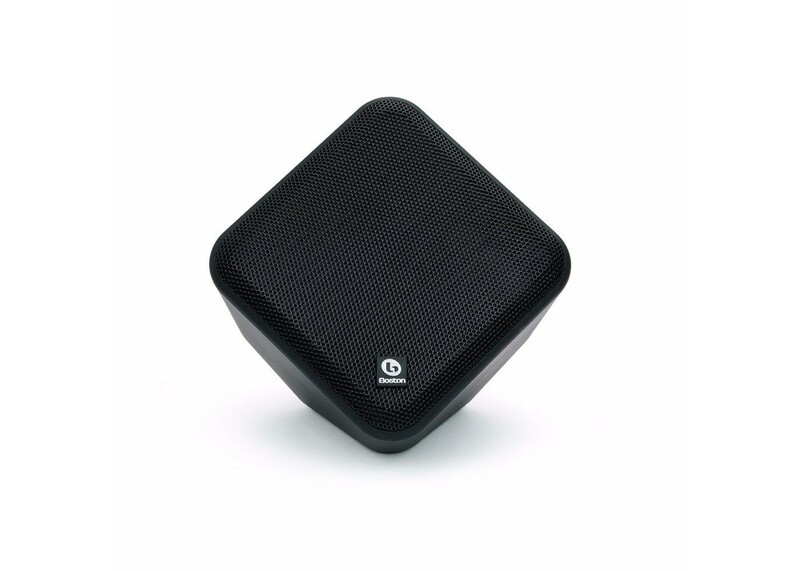 SoundWare is a high-performance loudspeaker designed to fit anywhere your music wants to be. We have also engineered the SoundWare with weather-resistant material so they can withstand anything that Mother Nature will throw at them. Scattered showers. Tropical depressions. Even Snow. Bring it on. The SoundWare flexible mounting brackets allow you to hang SoundWare speakers flush on a wall or tucked away in a corner. This Articulating Bracket allows you to angle the speaker towards the listening area regardless of where it is hung!